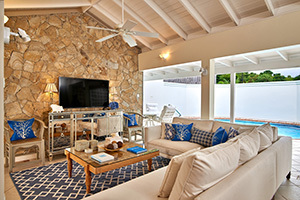 Calabash Luxury Boutique Hotel is a Relais & Châteaux property which prides itself on combining five-star service and luxury within a relaxed and intimate environment to create the ultimate Caribbean escape in Grenada. 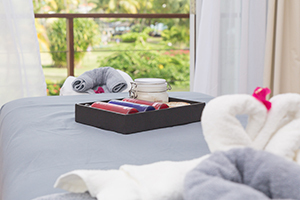 With 30 suites and 5 Estate Villas, every luxury is on offer, starting from breakfast served on your suite’s private balcony, or on the beach, to excellent dining at the 2 renowned restaurants. 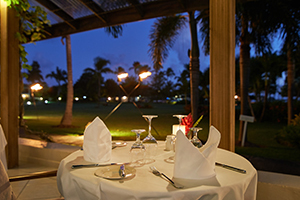 30 suites arranged in a horseshoe shape around 8 acres of lush tropical gardens facing the towards the sea. 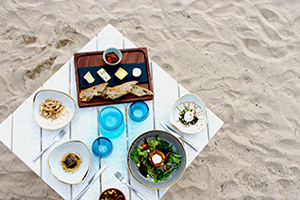 At Rhodes Restaurant, Celebrity chef Gary Rhodes mixes elegant cuisine with the spices and flavors of the island to create a world class dining experience. 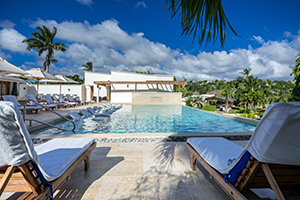 The Spa at Calabash experience is designed to empower guests to reposition themselves at the center of their own live. 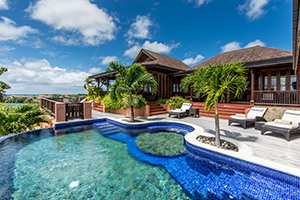 30 suites and 5 Estate Villas consisting of 2, 3, and 5 bedrooms. 2 restaurants and 3 bars. The unique service of breakfast served on your suite’s balcony or on the beach. Elemis Skincare Products for bath amenities. 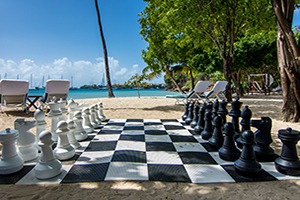 Private transfers from Grenada’s airport. Unlimited use of tennis courts and non-motorized water-sports including: Stand Up Paddle Boards, Hobie Cat Sailing, Kayaking & Snorkeling.